On Saturday, November 22, the Charles River Dressage Association held their annual Year End Clinic and Awards Banquet featuring Jessica Jo (JJ) Tate. A passionate horsewoman, Tate started riding dressage when she was only 9 years old. She went on to compete at the Grand Prix Special, bringing home first place in 2006 and was named an FEI High Point Champion. She also finished seventh in the Small Final and was the highest winning U.S. rider at the World Breeding Championships for Young Dressage Horses in 2007. She spent several months in Germany, riding with Hubertus Schmidt. She currently works training horses and students, as well as traveling around the United States in order to share her dressage knowledge with others. Ten participants were lucky enough to be awarded a spot in the clinic through a lottery drawing, granting them each a 45-minute private session with Tate, a format that is unique from the CRDA’s other clinics. The clinic was open to all CRDA members and drew in riders with diverse levels of experience. Tate welcomed them all, tailoring her lessons to their individuals needs. Later that evening, the CRDA held their 2014 Awards Banquet at the Restaurant Primavera in Millis. After spending the day instructing, Tate joined the members of the CRDA for their end-of-the-year dinner and served as their keynote speaker, sharing her experiences with all in attendance. Tate’s speech focused on what it takes to be a successful competitor. Her first piece of advice focused on the importance of being prepared. She told the audience that she starts her show preparations two weeks before each competition. However, she also advised gradually lowering the intensity of each practice as the show approaches. “Save our horse’s best for the show,” Tate said. In addition to the emphasis she put on preparation, Tate also addressed the nerves that all riders get before that big show day. Even Tate still gets butterflies before her big shows. She helps focus herself by arriving to the show grounds early. She takes the time to stretch and braid each of her horses. It is her way of connecting with them before her ride. “Analyze yourself and find what works for you,” Tate advised. CRDA hosts exciting show series and informative clinics throughout the year. They strive to provide schooling shows, clinics and educational lectures for all riders interested in dressage. 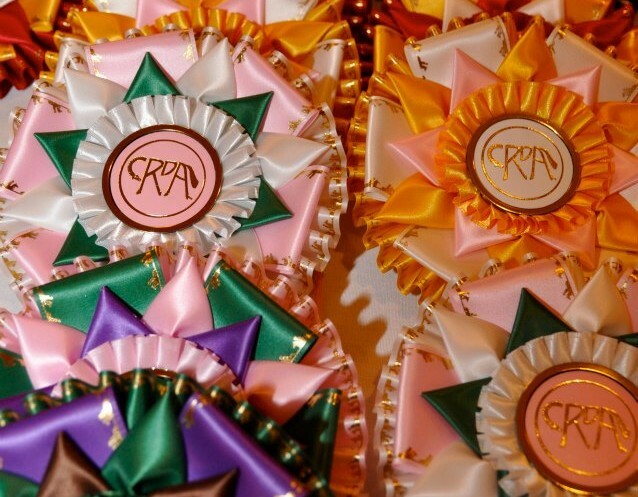 To get in on the fun and learn more about how to become a member of CRDA, visit www.crdressage.org.